An established collaboration between two companies for the development and testing of electric steering systems has just become a little closer, and indeed a little more beneficial to clients. 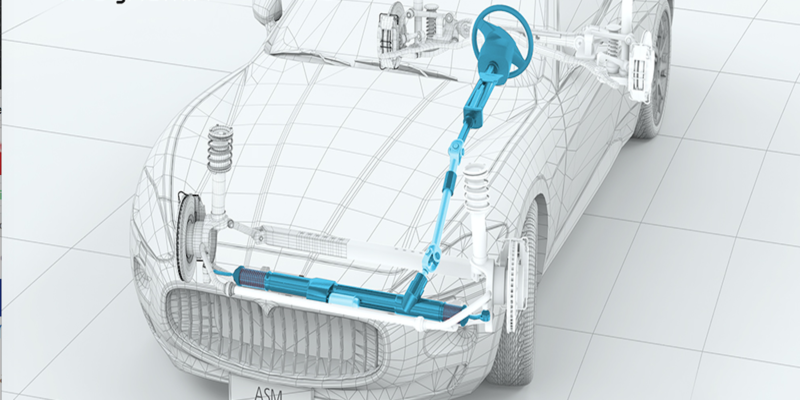 MdynamiX’s steering system models, created by the company’s CEO, Professor Peter E. Pfeffer, have been integrated into partner dSpace’s Automotive Simulation Model (ASM) tool suite. According to the two companies, this combination offers clients involved in vehicle development with a seamlessly integrated tool chain for adjusting vehicle dynamics and steering behavior. This tool chain enables a continuous development process, starting with model-based design (MBD), to software-in-the-loop (SIL) simulation, to hardware-in-the-loop (HIL) simulation with a real ECU. The MdynamiX tools now available on dSpace platforms are MXsteeringdesigner and MXevaluation, and their inclusion is claimed to fundamental work steps such as the steering system characterization and parameter optimization of steering models. For example, MXsteeringdesigner can be used to automatically transfer parameters of a steering system model from a dSPACE steering test bench to dSpace ModelDesk. With MXevaluation, objective parameters can be determined from vehicle data measurements and simulations for use in the calibration of electronic control units or optimization of steering feel.